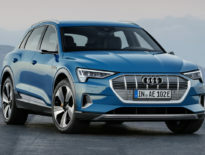 Two gas engines will be available initially: a 110kW (148hp) 1.5L turbo I4 with a 6-speed manual and FWD, and a 140kW (187hp) 2L turbo I4 with a 7-speed DSG and 4Drive AWD. 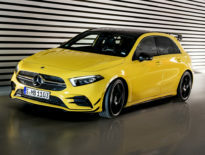 There are also two 2L turbo-diesel options to start with: a 110kW (148hp) version with FWD/6-speed manual or AWD/7-speed DSG, and 140kW (187hp) version with AWD/7-speed DSG. More powertrains will offered later. Available features include LED interior and exterior lighting, 8″ touchscreen infotainment system, 10.25″ digital instrumentation screen, dynamic chassis control, blind spot monitoring, adaptive cruise control, automatic headlamps, lane keeping assistance, and autonomous emergency braking. 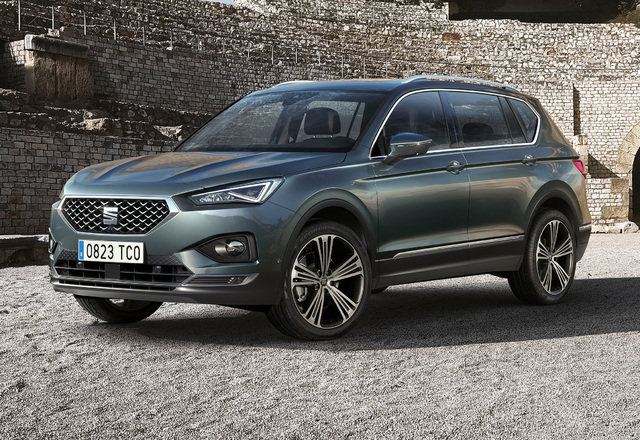 Although designed and developed by Seat at its facilities in Martorell, Barcelona, the Tarraco will be made in Wolfsburg, Germany.